Dr. Trapti Jain received the B.E. degree in Electrical Engineering from Government Engineering College, Ujjain, Madhya Pradesh, India in 1997. She obtained her Ph.D. degree in Electrical Engineering from IIT Kanpur, India in 2008. She has served as an Assistant Professor in School of Computing and Electrical Engineering at IIT Mandi from December 2010 to June 8, 2012. She has also served in Electrical Engineering Department at Madhav Institute of technology and Science (MITS), Gwalior from May 1999 to November 2010. 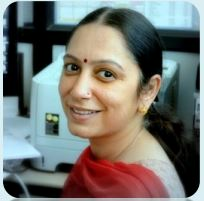 She is with IIT Indore since June 2012 working as an Assistant Professor in the Discipline of Electrical Engineering. Currently, she is an Associate Professor. Her main research interests include synchrophasor applications in power systems, grid integration of renewable energy systems and artificial intelligence applications to power systems, Power Quality and Smart Grid.